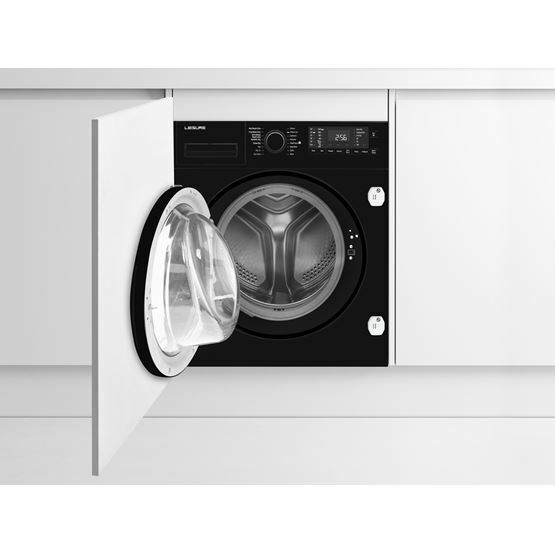 This stylish washer dryer allows you to wash a large 8kg load in as little as 28 minutes, shortening your daily laundry routine. 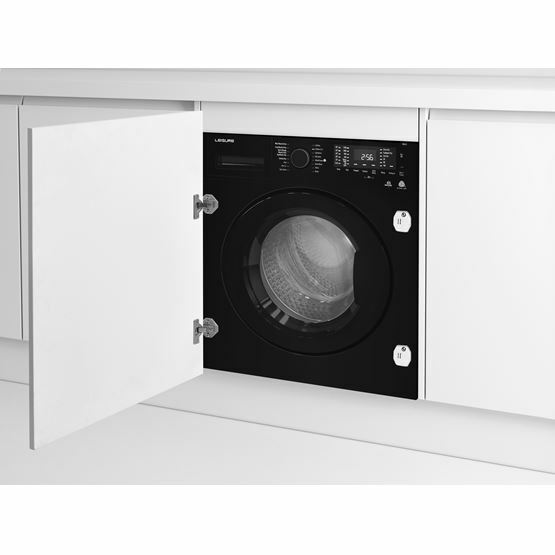 You can also control whether your laundry is cupboard or iron dry, with sensor drying programmes that stop when the desired dryness has been achieved. 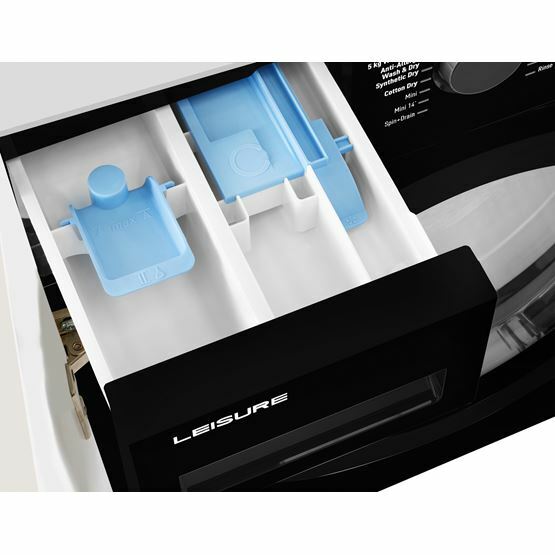 The generous 8kg capacity enables you to wash up to 40 shirts in one cycle. You can also dry up to 5kg per load, which is the equivalent of approximately 25 shirts - an ideal solution for families with overflowing laundry baskets. Designed to shorten your daily laundry routine, our quick programme can complete a wash cycle in just 28 minutes, leaving your clothes fresh, clean and ready to be dried. 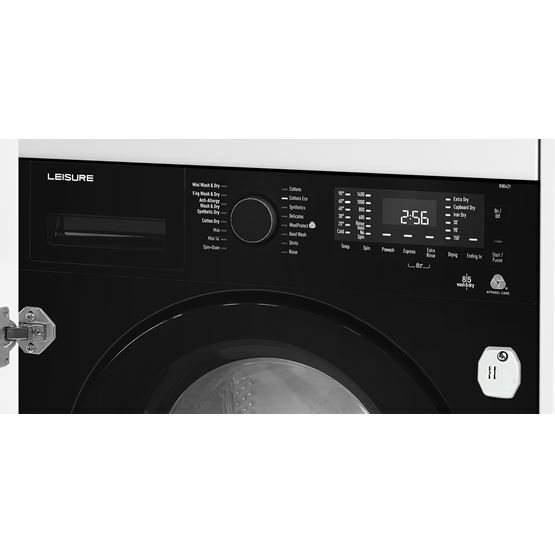 Providing a simple solution to last minute clothing dilemmas, the Mini 14 programme can wash a 2kg load of slightly dirty laundry in merely 14 minutes. This programme allows you to wash and dry up to 5 shirts in just 60 minutes, making it ideal for solving last minute clothing dilemmas. 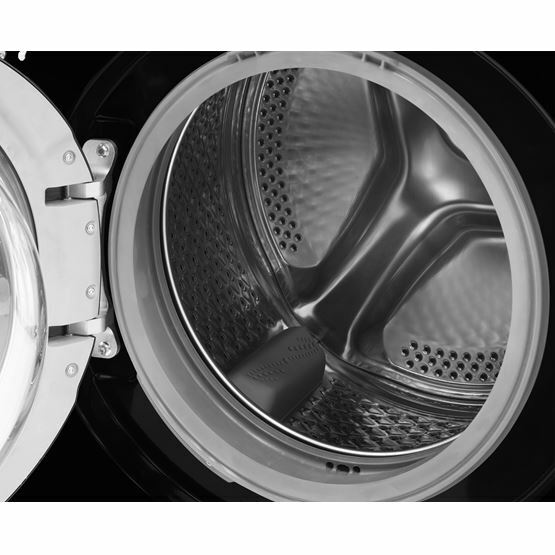 Perhaps you’d prefer cupboard dry clothes or maybe you'd like your laundry damp enough to iron; either way, sensor drying programmes identify the levels of moisture in the drum, automatically stopping the cycle when your desired dryness has been achieved. The modern digital display shows you the time remaining until the end of the programme. 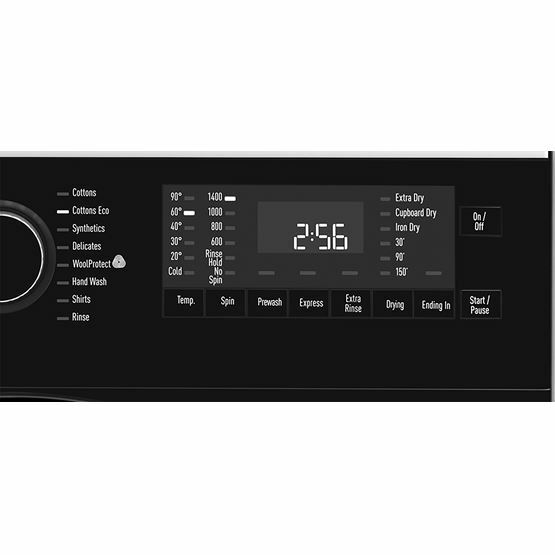 The electronic knob also makes smooth work of setting your cycle, with indicator lights for each programme. 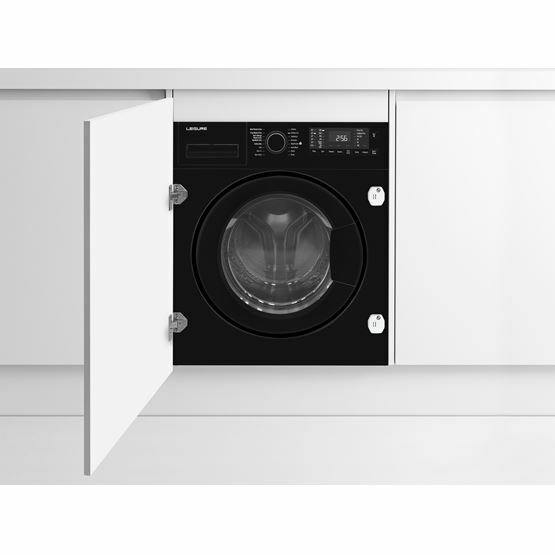 Letting you load and unload your laundry with ease, the extra large 34cm porthole door ensures that items as large as duvets can comfortably fit. Allergy sufferers can breathe easy with our Allergy UK endorsed wash and dry programme, which helps reduce the amount of allergens in your laundry including cat, dog and pollen allergens, as well as bacteria and fungi. Keep inquisitive little fingers at bay with the child safety lock, which locks the buttons to prevent children from accidentally switching washing programmes. Designed with durability in mind, the Inverter Motor is highly energy efficient, and also provides quieter cycles, making it ideal for open-plan homes. Reassuringly reliable, the specially designed motor also comes with a 10-year guarantee for added peace of mind. Good Points: Very quiet. Looks sleek and expensive. Easy to use and lots of different features, modes. Bad Points: You have to have it drying for a very long time to get anything cupboard dry. If you don’t need it in a hurry then it’s great but don’t expect bone dry towels quickly. Good Points: Excellent washer and dryer. I've heard mixed reviews about washer dryers but this machine is excellent in all respects. Highly recommended! Bad Points: As yet, no complaints!